Once upon a time, lead was the primary material for all forms of plumbing pipe. Thankfully, plumbing pipe for commercial properties has come a long way since the early days of lead pipe usage. There’s now an abundance of materials to choose from for commercial plumbing. Pipes have formed an indispensable part of plumbing for thousands of years. They’re used in residential, commercial, and industrial buildings to carry fluids to, around, and out of properties. A high quality of plumbing infrastructure is vital no matter the size, purpose, or design of your commercial building. This means that choosing the best material for your plumbing is incredibly important. What Is the Best Commercial Plumbing Pipe Type? Purpose – irrigation, waste, fresh water, etc. As every type of plumbing pipe is comprised of different materials and have varying degrees of performance in different situations, plumbing pipes often can’t be used interchangeably. 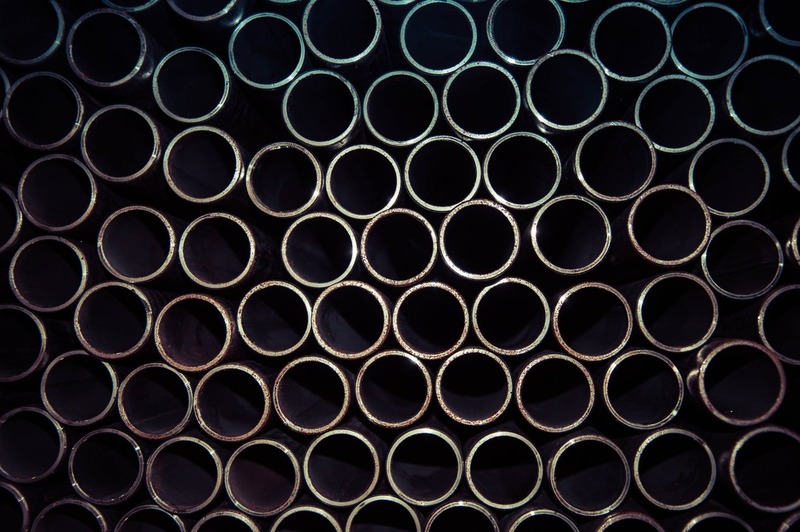 To determine which pipe is best for each occasion, it’s important to understand the main differences between common types of plumbing pipe, and what makes them best for certain applications. PEX plumbing pipes are exclusively used for water supply lines, often in smaller commercial premises. This type of plumbing pipe is incredibly flexible, color-coded, and requires minimal ongoing maintenance after the initial installation. PEX pipes are more expensive than some water supply pipe alternatives, they’re relatively quick to install, are straightforward to cut, and are not prone to leaking. However, PEX pipes are limited to indoor installation, as they’re susceptible to damage from UV rays. Stainless steel is one of the most expensive plumbing pipe options on the market, and due to the cost, it’s often not the preferred choice for many commercial applications, despite its superior aesthetic appeal in comparison to most alternative options. However, in coastal locations where there’s a high risk of corrosion, stainless steel can be a highly effective choice. Stainless steel is also commonly used where superior strength is required. Both flexible and rigid stainless-steel piping are available. Copper plumbing pipes are also available in rigid and flexible varieties, which are both used for water supply lines. Rigid copper pipes are easy to cut, although they can be more difficult to install than some alternatives, as soldering is required to connect the pipes. Flexible copper pipes are normally used for short stretches of piping, such as to refrigerators; this type of piping does not have a high temperature tolerance, and due to this, is generally used indoors. Copper is a strong, corrosion-resistant choice, that has a good tolerance to pressure, but is quite expensive. PVC plumbing pipes are a very modern option of commercial property plumbing pipe and are used for waste and drain lines, as well as vents. This type of pipe is lightweight, simple to install, and quite strong. PVC pipes can’t often be used in areas where there are extreme temperatures, as they don’t stand up well to extreme cold or heat. The piping is also not tolerant to UV light, and is normally used on commercial property interiors. Brass plumbing pipes are ideal for hot and cold-water distribution and chromed brass is commonly used for waste lines. The material is highly resistant to rust and corrosion, which makes it a suitable choice for many applications. Brass is also very durable and has a considerably higher lifespan when compared to many alternative water supply pipe options. This type of pipe can be used instead of stainless steel for an easier thread. Cast iron plumbing pipe is often used as the main pipe in commercial drain lines, but it can also be used for water distribution. These pipes are heavier than many alternatives, but can withstand high pressure, offer noise-insulation, and are resistant to fire. Cast iron pipes can convey large quantities of fluid, although the installation can be expensive. CPVC plumbing pipes are used for both hot and cold-water supply lines. This type of plumbing pipe offers good heat resistance but is not as suitable for freezing temperatures. The piping can be installed easily and it’s suitable for high-pressure applications. CPVC is relatively inexpensive, despite its high performance. While some plumbing pipes are flexible and strong, others are rigid and rust-proof. Choosing the wrong plumbing pipe could leave you with some very serious and expensive problems. For the ultimate assurance that your plumbing pipe is suitable for a particular purpose, consulting a trained commercial plumber in Westmont, IL is essential. Arco Plumbing provides comprehensive residential and commercial plumbing services in Chicago, covering every plumbing project, including the selection and installation of plumbing pipes. Our experts are highly-trained and experienced in all forms of commercial plumbing, making us the perfect service to make sure that your plumbing is nothing short of perfect. If you’re considering changing your plumbing, or require new plumbing pipe installation, then make our team your first point of call. Our commercial plumbing pipe expertise will provide all the guidance you need to select the best, most cost-effective plumbing pipe for your commercial property.